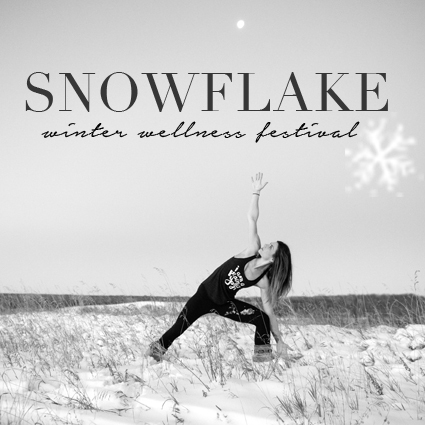 David and I will be leading a yoga/kirtan workshop at Snowflake Winter Wellness Festival, Winnipeg’s first full-day urban retreat on Sunday January 24th! We are excited to bring you a workshop that explores the origin and goal of breathing exercises through the practice of gentle yoga asana and the chanting practice of Kirtan. The breath is a powerful tool that we can use to balance our bodies and minds, and mastery of the breath transcends all styles of yoga practice. We hope you can join us as we sync breath, movement and voice to the beat of a drum (and a harmonium!) No experience is necessary, and the workshop is suitable for all levels of practitioners. 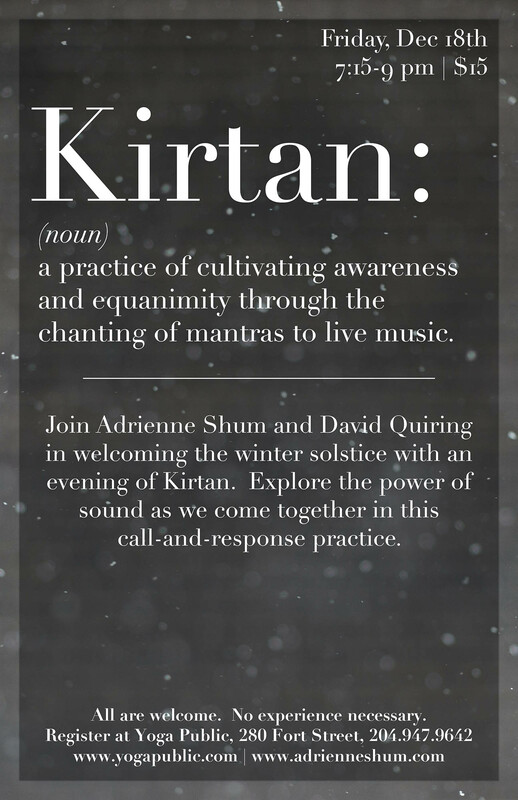 Check out the Snowflake website to see the other amazing workshops that will be happening, and sign up for “The Power of Breath: A Yoga and Kirtan Workshop” here!